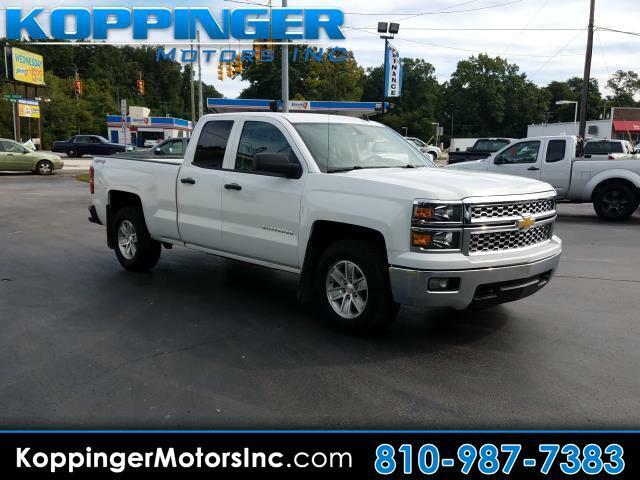 Used 2014 Chevrolet Silverado 1500 4WD Double Cab 143.5" LT w/1LT for Sale in Fort Gratiot MI 48059 Koppinger Motors Inc.
With an attractive design and price, this 2014 Chevrolet Silverado 1500 won't stay on the lot for long! This Silverado 1500 has traveled 74736 miles, and is ready for you to drive it for many more. In addition to its fantastic fit and finish, you'll also get: 4WD,power windows,power locks,blue tooth and mp3 audio input We won't sell you a vehicle that we wouldn't sell our family. We encourage you to experience this Silverado 1500 for yourself.